Castaway to the remotest Outdoor Centre/Bunkhouse in the West. Owned by Adventurer Tom McClean, Accessible only by sea or on foot. 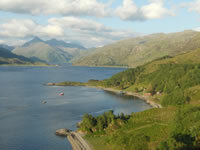 Enjoy our spectacular mountain and Loch side location at Ardintigh. We are situated in our own bay right on the South shore of Loch Nevis and directly opposite Knoydart Estate, Europe's last great wilderness. We offer good basic bunkhouse accommodation for up to 24 people sleeping in 5 wooden huts, dotted around our 10 acre woodland and grassy site and Jocks Lodge is the main building and focal point of the Centre. Camping is offered for groups larger than 24. 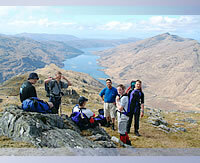 The surrounding area is a walker's paradise with several Munro's nearby. 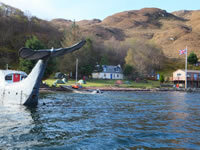 Look out for the otters that inhabit the loch and also the porpoise and sea birds passing by. The Centre is an ideal base for outdoor pursuits, adventure training, summer camp, walking holidays or to simply get away from it all. 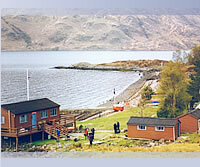 Highland Outdoor Centre/Loch Nevis Bunkhouse offers self catering accommodation for exclusive use groups only, a minimum 3 night stay or weekly bookings welcome. See prices for more information. Book now or for further info please enquire. Moby from Michael Rennie on Vimeo.